If you're looking for one-level living at it’s finest, we have the perfect place for you. TheVillas at Greenbrier are theonly new construction, 55+ villas in the Bel Air area.Conveniently located off Rt. 22, the community is close to everything you love and know, and with the price tag you need. Contact us todayfor more information. You love the area where you live now but are tired of the maintenance that comes with your home. Location and convenience is key.The Villas at Greenbrier is aquiet and serenecommunity withwinding streets,and easyaccess to Downtown Bel Air, Rt. 22, Rt. 1 and I-95. Take a swim at the beautiful pool or start your morning with a workout in the fitness center. Hostloved ones at the year-round clubhouse or spend an afternoon at the playground with the grand kids. At The Villas at Greenbrier, there's so much to do without having to leave the community! Are you looking forone-level living? Live easy with your first floor owner'ssuite, first floor laundry room, 2-car garage, and an open floorplan!In your new home, you can leave costly repairs, yard maintenance and snow removal behind. 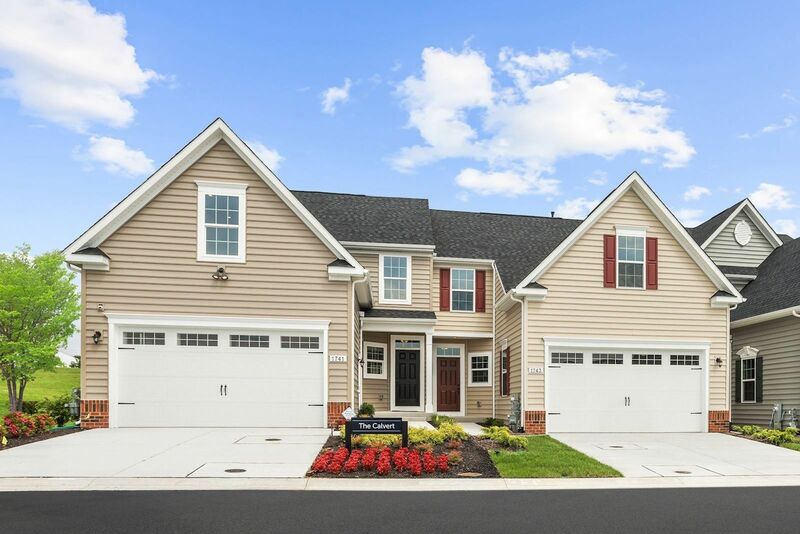 Visit us todayto tour our beautiful Calvert model home.